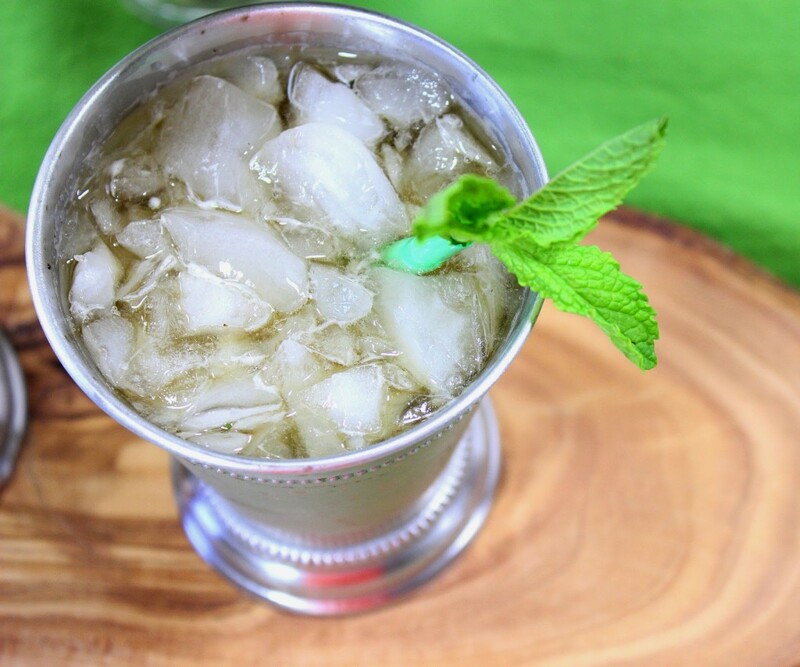 This Non-Traditional Mint Julep will have you kicking up you heals (er, um, make that hooves) this Kentucky Derby Day. 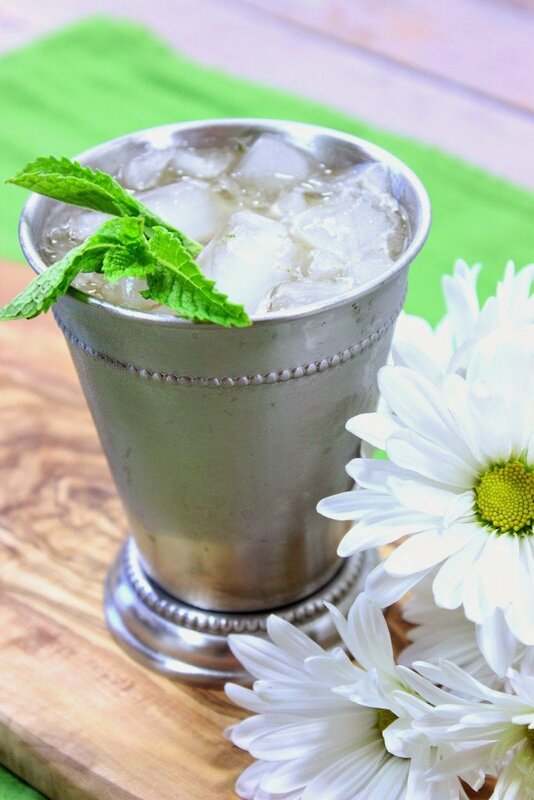 My Non-Traditional Mind Julep is frosty, minty, sweet and kicky with Jack Daniels Kentucky bourbon and a light splash of ginger-ale. 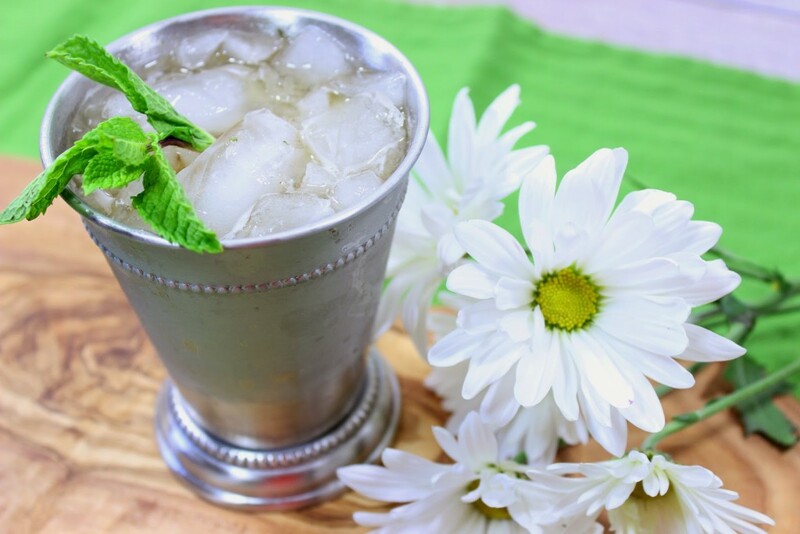 It’s perfect for sipping and is just right for a hot summer’s day. I decided to use coconut palm sugar when making the simple syrup for this cocktail because palm sugar is a good alternative for when you’re trying to lower your fructose consumption. Since coconut palm sugar is higher in sucrose, it’s lower in fructose and glucose making it a better option for people who are looking to control spikes in their blood sugar levels. -Bring the water and sugar to a boil over medium heat. Reduce heat to medium and cook and stir until the liquid reduces and thickens slightly (approximately 3-4 minutes). Cool completely. 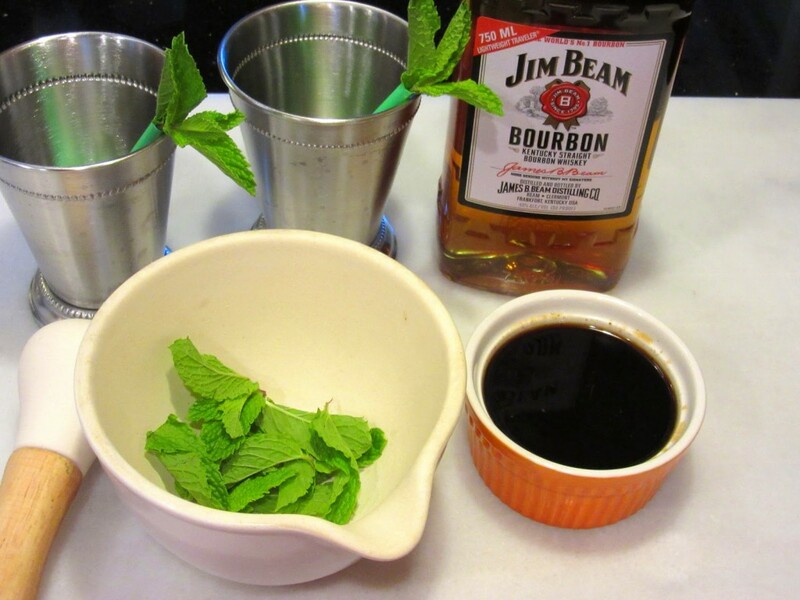 -Add the first 4 ingredients into a cocktail glass. Top with ginger ale and stir to combine. 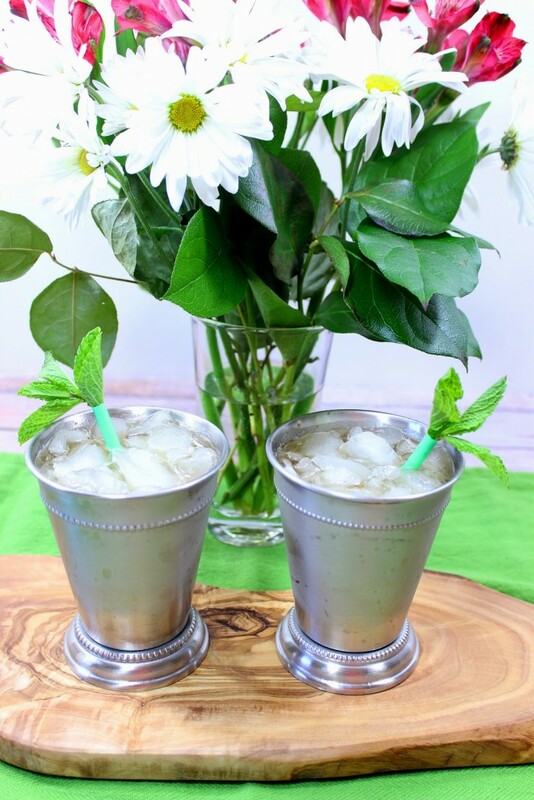 Garnish with fresh mint leaves, if desired. Naturally this recipe reminds me of some custom coffee mugs I painted last year for a school fundraiser. 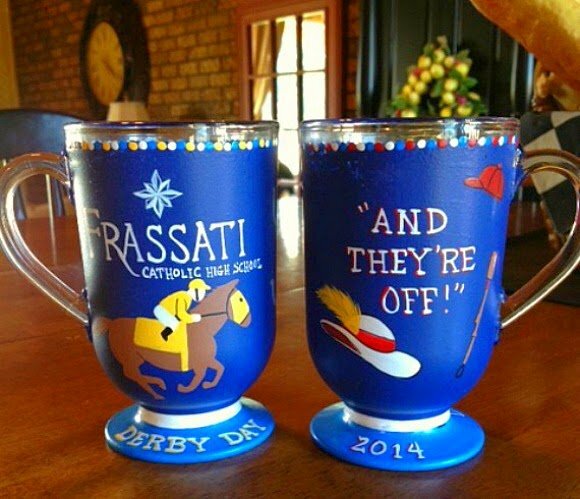 They’re definitely a fun fit for Kentucky Derby Day! If there is ever anything I can paint for you, please contact me or visit my shop. Custom orders (like this one) are always welcome! Together, we give the gifts that people remember!